It is an easy home made project. It's based on eddy current loss. 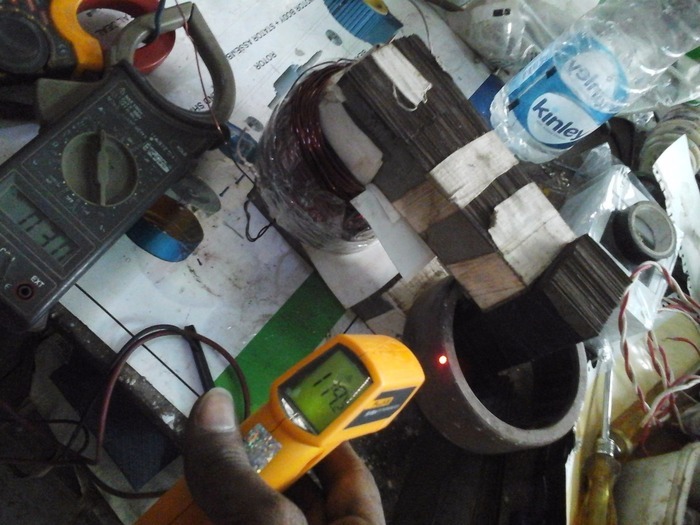 Eddy current (also called Foucault current) are loops of electrical current induced within conductors by a changing magnetic field in the conductor, due to Faraday's law of induction. Eddy current flow in closed loops within conductors, in planes perpendicular to the magnetic field. 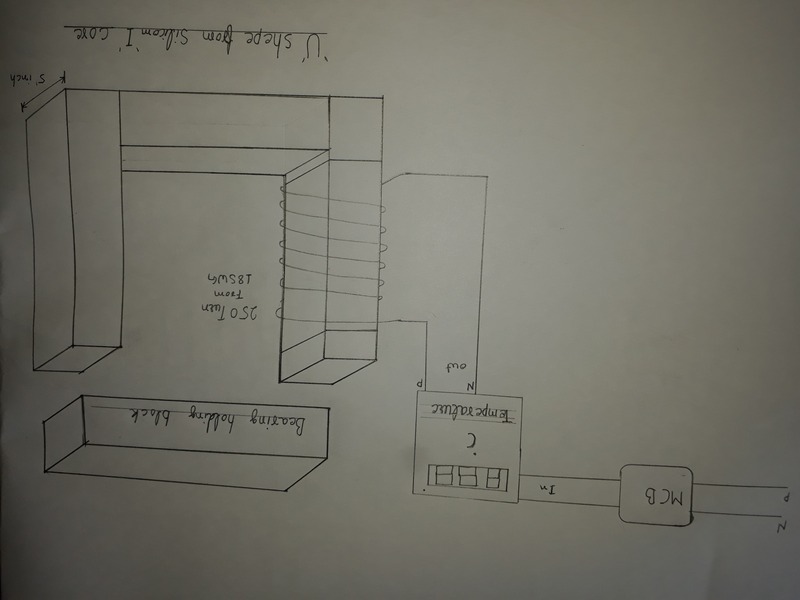 Heater use for heating of bearing for mounting on motor generetor shaft. Induction heating is more efficient and more safe then hammarring process for fitting the bearing on shaft. It recommend maximum bearing manufacturers and large motor manufacturers. 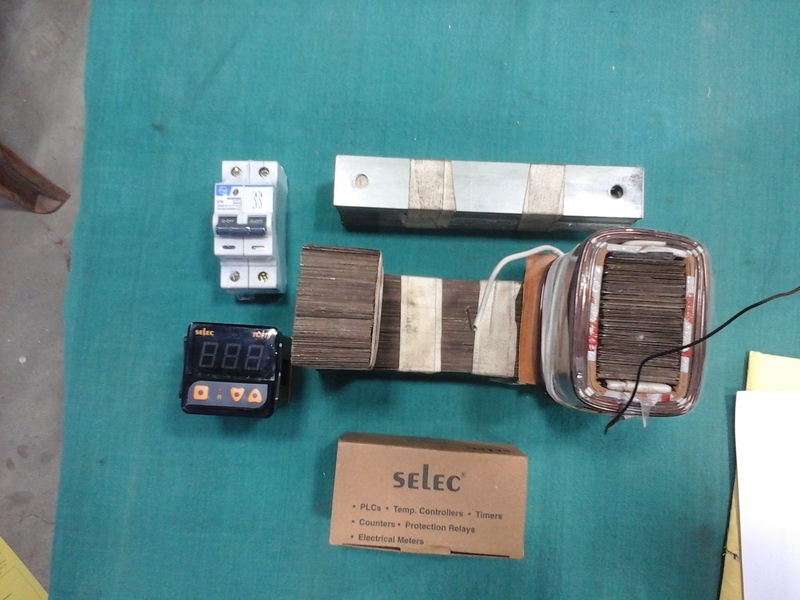 We require some old transformer stemping ( I silicon core ) around 5kg. Tempreture display and controler with magnetic senser. arrange silicon I core in U shape until the thikness is 5 inch. 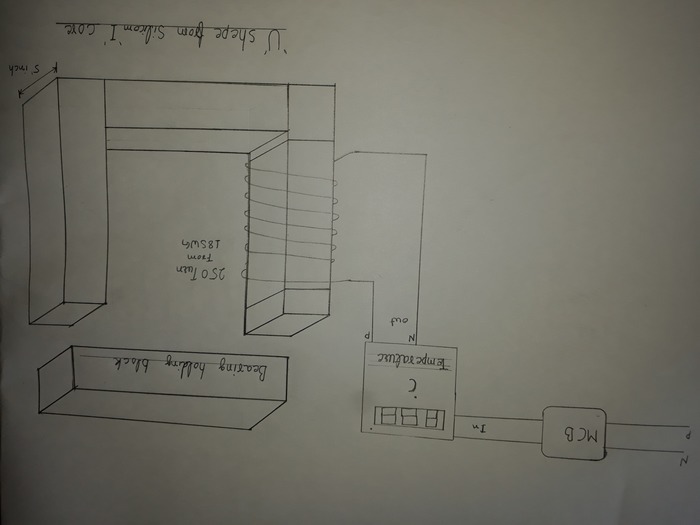 Connect temperature controller, senser, MCB with coil as per electrical drawing. Fix all component in a box and check again.